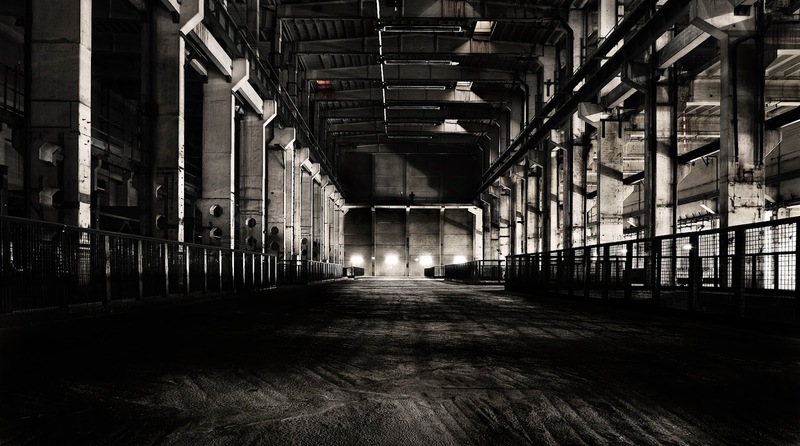 Australian free-improvising trio The Necks will be collaborating with ‘A’ Trio from Lebanon in a four-hour performance at The Long Now, the 30-hour programme at the conclusion of the Maerzmuzik Festival at Kraftwerk Berlin on Saturday 24 March. Necks drummer TONY BUCK spoke to AJ Dehany via email about this unusual event. LondonJazz News: How did this collaboration with the ‘A’ Trio come about? Tony Buck: For some time The Necks and The ‘A’ trio have spoken about the possibility to collaborate. We are all quite good friends and feel there are similarities, among the many differences, in the ways the groups approach improvising. 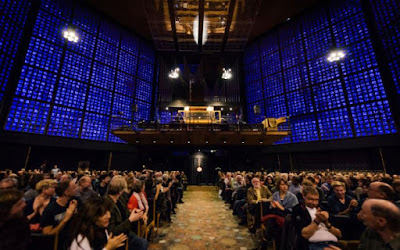 Through our connections in Berlin with the people from Festspiele Berlin, and the DAAD, the opportunity arose that would give us the chance to explore these ideas. The concept seemed to fit perfectly into the theme for the 'Time Issues’ music nights presented as part of MaerzMusik. LJN: The format is expanded in terms of both personnel and timescale. What do you have planned? TB: There isn’t a great deal planned, except to know that we will play a four hour set together. One important aspect of the collaboration is that it is between two groups, not six individual musicians as such, and we will explore how these two group approaches work together. Not to say that there will not be moments in the music where it may break down to duos or quartets or any combination of the those involved, but it is that the idea revolves around the musical identities and approaches of the two ensembles. LJN: What are the similarities and differences between the two groups with regard to duration and playing in a space? TB: Both groups share a concern with duration and change over time. Both groups often employ long stretches exploring the inherent qualities of a timbre or texture that fills the space. Often the music of both groups reach a point of full resonance within the space and focus on the sound vibrating in the room. The ways in which both groups deal with material, exploiting similarities and contrasts, slow development and transitions, point to shared formal concerns. The Necks, more often than not, take to slowly feeling out the potentials in the acoustic space and find ways the generate a sonic response from the room while constructing a piece of music that takes advantage of the properties we hear and uncover in the development of the music. The ‘A’ trio, in contrast, often approach an improvisation as if “joining a train that has already been running” to quote Mazen Kerbaj. I imagine, as a collaborative process, both groups will adjust their Modus Operandi somewhat, as improvisors do, to create a new music that will satisfy both approaches without diluting either their strong ensemble aesthetics. LJN: How will you approach the challenging prospect of playing for four hours? TB: The durational aspect of the project opens up a great many possibilities for both groups to explore in their usual manner as well as take advantage of the differences. The four hour framework, rather than being a challenge of concentration or stamina, opens up the possibilities to get into some really new and interesting areas. As I say, I feel like both groups are really sympathetic in their approaches and in this setting, being afforded that amount of time to explore, is a real advantage. It is a real advantage and privilege to have this amount of time to play with. LJN: You’re playing as part of the 30-hour programme The Long Now, concluding an even more ambitious festival that looks spectacular. Have you worked with MaerzMusik before? TB: Both groups have played numerous times for MaerzMusik in the past and the festival always offers a very open and creative space to work in. It is a very broad based festival and so the focus is always on playing the music with as much integrity and depth as possible. We always have the feeling that everyone concerned is totally committed to making an environment that is as good as it can to be to create something unique and special. LJN: How do you foresee playing in the large space of Kraftwerk Berlin, which is literally a power station? TB: The venue for this project is an interesting one, and one that will play a huge part in the focus and success (or otherwise) of the concert. Neither group has played in the venue before but it promises to be a huge contributor to the evening - a dynamic mediator if you like - the acoustic space itself taking on a huge role in the unfolding of the music. As it is, the collaboration between The ‘A’ trio and The Necks will be only the starting point for this long, day length music event. It will be an interesting process to be part of.